This post was originally published on October 30, 2009. It was substantially revised and reposted on April 27, 2015, following the arrival of Justin Timberlake and Jessica Biel’s son. 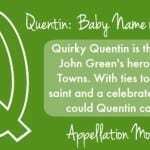 Today’s choice is ancient, Biblical, literary, and now a high-profile celebrity baby name, too! Is it any wonder that this name is on plenty of parents’ shortlists? 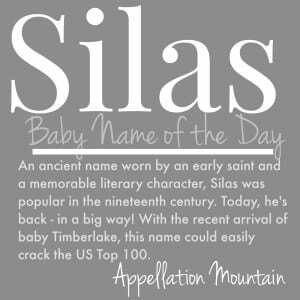 Thanks to SG for suggesting Silas as our Baby Name of the Day. It could be a contracted form of Silvanus, a Latin name derived from silva – woods, the roots of Sylvester and Sylvia. Or it might come from another ancient name. Virgil mentions an Etruscan leader called Asilas. The Hebrew Saul – asked for – would have been Saulos in Greek. The original Silas was an early Christian convert, and accompanied the future Saint Paul on his mission trips throughout to Antioch, Syria, and Macedonia. He is a saint, and there are two more saints Silvanus recorded over the next few centuries. The better known reference comes from George Eliot’s 1861 work, Silas Marner: The Weaver of Raveloe. When the story opens, Marner is a weaver, facing a false accusation of stealing from his church. Marner loses everything, and then he’s the victim of a robbery. But despite ill fortune, he slowly rebuilds his life, eventually taking in an orphaned child and raising her as his own. If you’re looking for a name that perfectly demonstrates the 100-year rule, Silas is it. Along with the better known Benjamin Franklin, Silas Deane was an early American ambassador to France. Captain Silas Talbot once commanded the USS Constitution. The fourteenth governor of New York wore the name. So did the Union Army’s Major General Silas Casey during the Civil War. 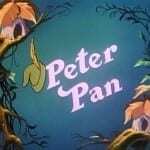 The name was fading by the 1920s, and teetered on the edge of the US Top 1000 through the 1990s. And then Silas started a comeback. In 1990, the name ranked #962. By 2000, it was up to #602. What explains the name’s return? There’s the general rule that a name feels fresh again after one hundred year’s hibernation. Silas also picked up on our affection for obscure Biblical and ancient names for boys. And the ‘s’ ending felt different, too. A creepy monk in The Da Vinci Code. A character on Showtime’s Weeds. 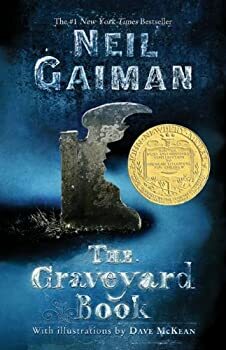 Neil Gaiman gave the name to a vampire-esque character in The Graveyard Book. HBO’s Deadwood also gave us a Silas, played by an actor named Titus. A serious bad guy on The CW’s The Vampire Diaries. By 2008, Silas ranked #310. In 2013, Silas ranked #116. That’s quite the rise. And all of that happened before Justin Timberlake and Jessica Biel gave the name to their new son, Silas Randall Timberlake, in April 2015. All of this means that Silas is poised to crack the US Top 100 – even before the Timberbaby made his debut. It’s a great name with plenty of history and a stylish sound. But Silas is set to become quite the familiar choice. Silas was my great-grandfather’s name, and is one of my brother’s middle names (he has two, LOL). I LOVE this name. It makes me sad it’s gaining in popularity, because I’ve loved it all my life! I love Silas, but I don’t know why. Silas is the name of the vampire – who is a good guy! – in the Newbery Award-winning book _The Graveyard Book_, by Neil Gaiman. Like George Eliot’s hero, Silas Marner, this Silas is living a life of atonement and is a loner, but becomes the guardian of an orphan and does other good things. Silas has a very creepy vibe to me. Maybe because it was the name of this creepy guy in my area who was suspected of murdering people. I really dislike it. Oh, I really like Silas! I’m not sure if it would work for a kid of mine, but I like the sound. Thanks for spotlighting this name! We chose this name for our oldest son mostly because of sound – we both liked “Cy” as a nickname but Cyrus, Cyril and others didn’t float our boat. Silas (nn Si) was the perfect fit for our laid back, happy baby. It is gaining in popularity but it still seems fresh. I love it even more knowing the Samuel Taylor Coleridge history! I like Silas and have a positive association for the name in a close family friend who passed away a few years ago. I’d never use it in the first position, but would definitely consider it as a middle. 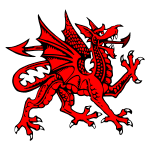 […] Despite dueling dragons and legendary kings, Emrys has a gentle sound.